The Kawasaki Teryx has received a series of improvements for 2014 which help it stay ahead of the pack when it comes to agility, power and off-road abilities. Among the improvements made for the 2014 model year you’ll find a larger chassis, more power and better shock absorbers. You also get a more comfortable cockpit, a new body and new secure-latching doors which allow quick and easy entry. Compared to the previous generation which was fitted with a 749cc unit, the new model gets a larger capacity 783cc, digital fuel-injected, 90-degree, V-twin engine which offers more power and torque. The engine is fed by a 7.9 gallons fuel tank and can tow up to 1,300 Lbs. 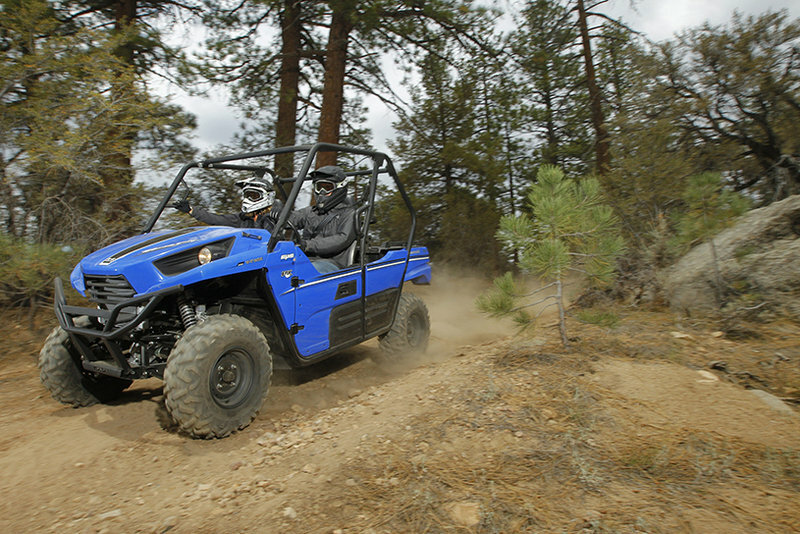 To be able to deal with the toughest tracks without problems the Teryx is fitted with a set of large 26-inch tires. 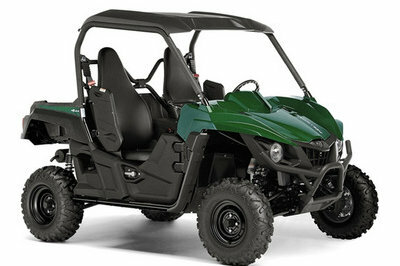 As far as prices are concerned, the 2014 Kawasaki Teryx can be yours for no less than $12.999. 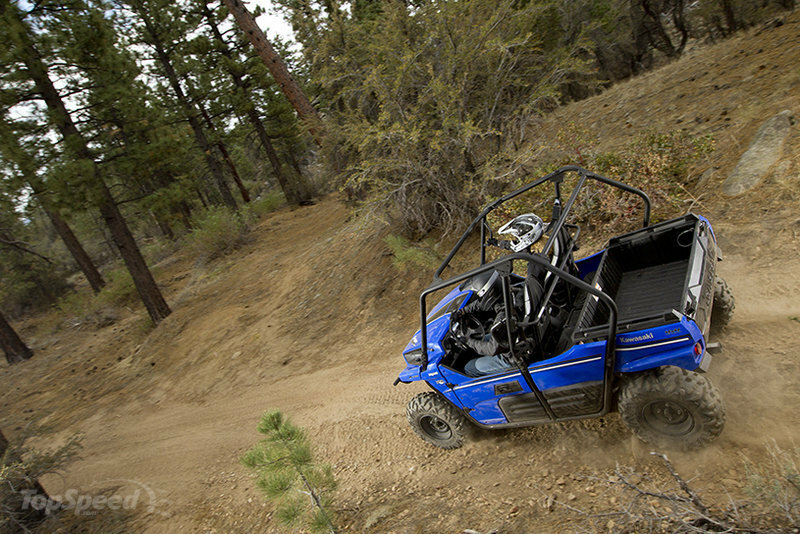 Hit the jump for more information on the 2014 Kawasaki Teryx. All-New Side x Side Boasts More Power, Better Handling, Enhanced Comfort and the Longest Warranty in its Class! 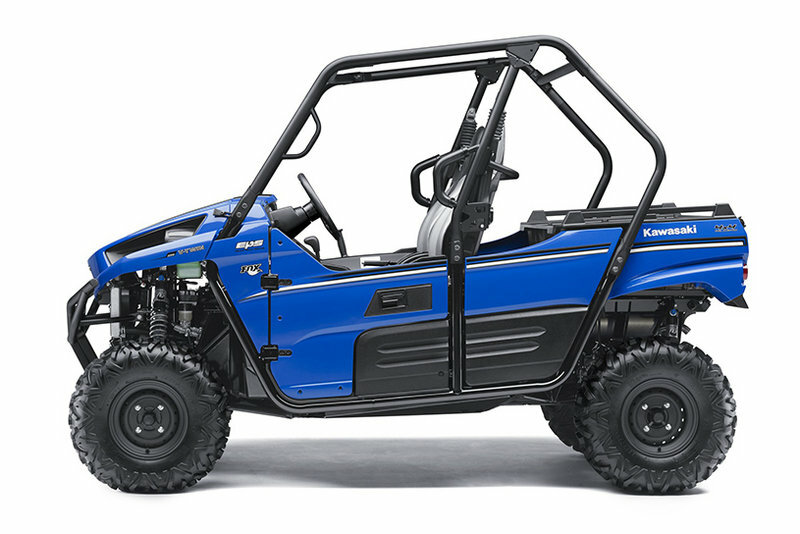 The all-new 2014 Kawasaki Teryx® shatters the two-seat Side x Side mold with a new larger chassis, a significant overall power boost, and premium FOX Podium high-performance shocks. 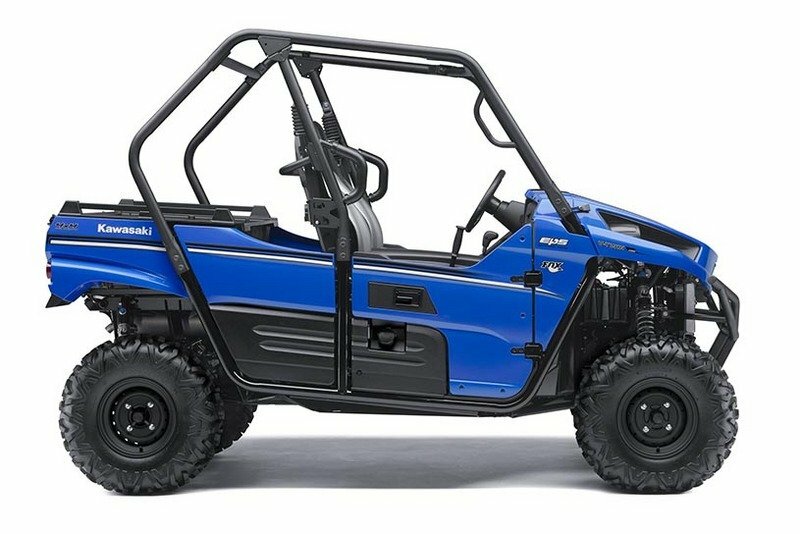 Add-in an all-new larger cockpit and an enhanced cargo bed and you get a bigger, bolder package that pushes the Teryx’s performance, handling, comfort and utility to new levels. 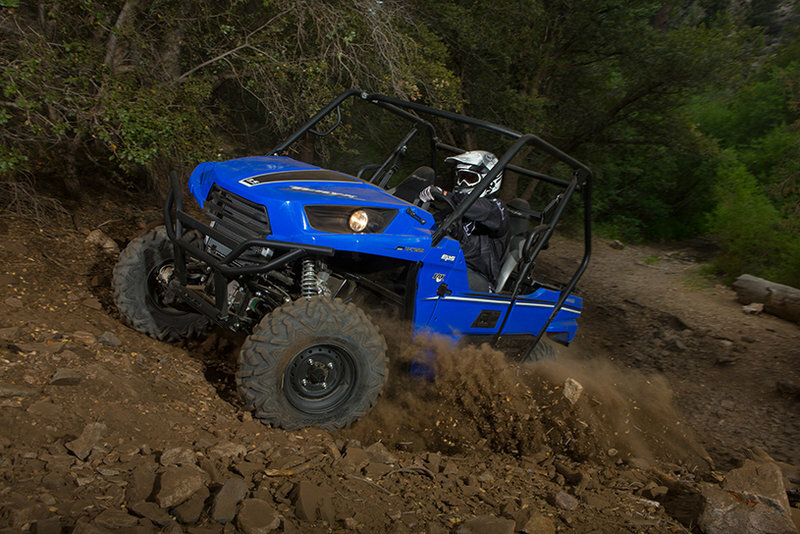 Whether tackling a tough job or a rough trail, the new Teryx delivers like no other Side x Side in its class. Teryx’s character-filled, purpose-built 90-degree V-twin is revered for its fantastic sound, stump-pulling power and amazing flexibility. For 2014, it packs more power than ever thanks to a substantial displacement bump from 749cc to 783cc. Those extra cubes generate a whopping 26% more power and 12% more torque right where you need it, in the low- to mid-range, which makes short work of scrambling up steep hills, stomping through mud bogs and crawling over rocks. The 2014 Teryx does all this while delivering better fuel efficiency than the old engine for even more driving time between fuel stops! 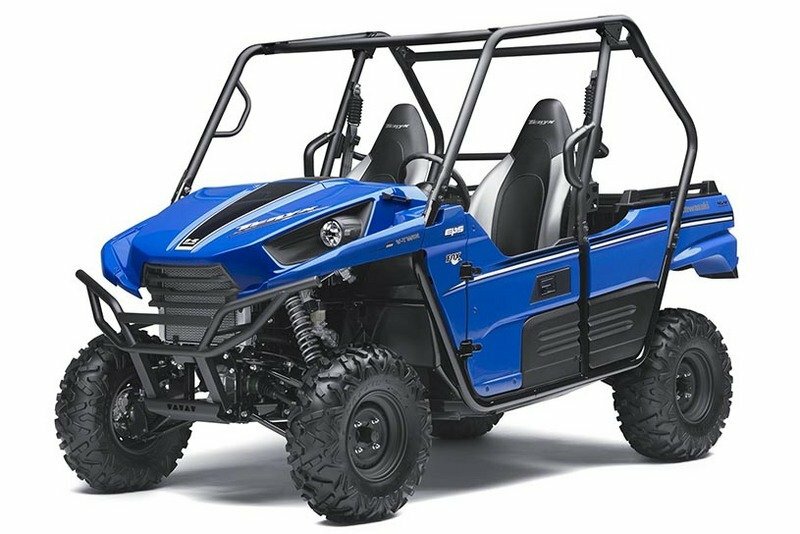 Kawasaki’s engineers achieved these goals via optimized camshaft profiles and revised exhaust headers that allow the Teryx’s new engine to consistently deliver exciting power when driving solo, with a passenger, or when carrying heavy loads. 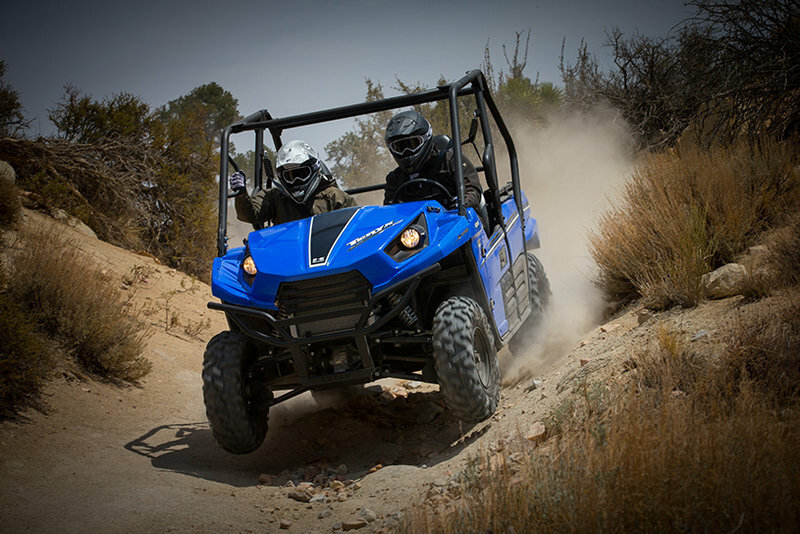 And yet the added torque hasn’t upset the Teryx’s super smooth character in the least, as its 90-degree V-twin design retains perfect primary balance to help keep things comfortable for the driver and passenger during long off-road treks. Routing all that torque and power to the ground is a proven Continuously Variable Transmission (CVT), centrifugal clutch assembly and a three-mode electronically selectable 4WD system that features instant access to 2WD, 4WD and 4WD+Front Differential Lock modes for optimum gearing and traction simply by rotating a dash-mounted switch. The CVT is well-known for its quick response and direct engine “feel” in sportier riding situations, and its unique engine braking capability can increase driver confidence on descents, while turning and in rough conditions. So whether it’s climbing a rocky uphill trail, negotiating a wet stream bed, hauling lumber for fixing fences on the farm, or just plain hauling down a wide-open two-track trail, the Teryx has an ideal drivetrain mode to handle it. 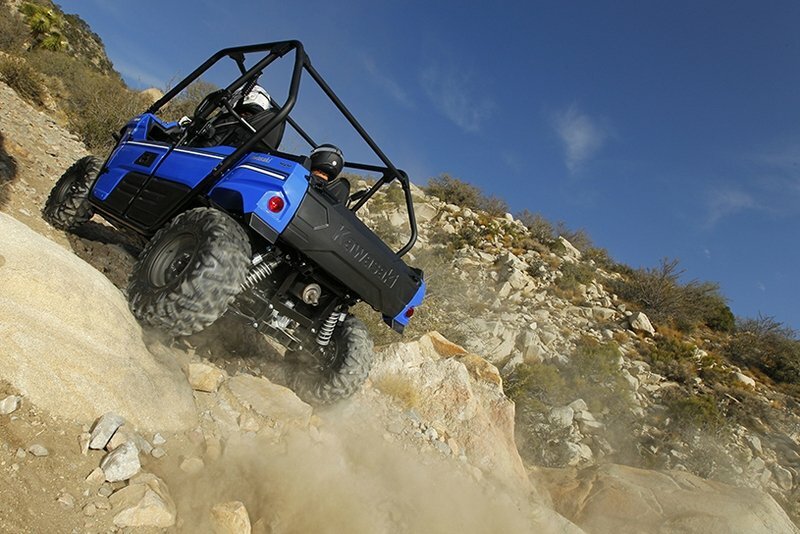 The Teryx side x side’s all-new Double-X chassis takes on rough and technical terrain. Its highly rigid square tube frame effectively combats flex to provide superior handling over rough ground, and its extremely tight 16.7’ turning radius makes maneuvering in close quarters a cinch – a real benefit over the competition that is often forced to make multi-point turns in the same space. • NEW Larger 783cc digital fuel-injected 90-degree V-twin offers more power than ever, delivered exactly where a Side x Side needs it most. Even better... it does it all while delivering better fuel economy! Front suspension / wheel travel Dual A-arm w/ new piggyback reservoir coil-over FOX Podium shocks, with adjustable spring preload and 24-way compression damping / 8.0 in. Rear suspension / wheel travel Independent Rear Suspension (IRS) w/ new piggyback reservoir coil-over FOX Podium shocks, with adjustable spring preload and 24-way compression damping / 8.3 in.